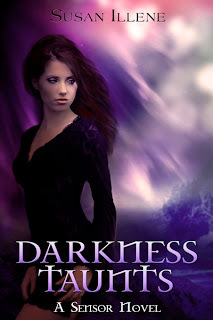 Help me welcome Susan Illene who is here to talk about her Urban Fantasy novels, Darkness Haunts and Darkness Taunts from The Sensor Series. Be sure and keep reading after the interview . 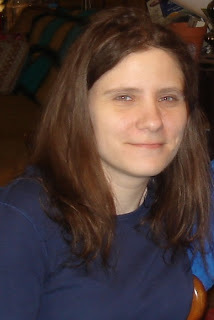 . . you’ll find all the delicious details about Susan’s books! Susan, you’ve developed some interesting characters in your books, starting with Melena Sanders in Book One, Darkness Haunts. Since you both have a military background I have to ask . . . are there other elements in Melena’s skill set and personality that emulate your own? That is a good question and one I think a lot of people wonder about. I gave Melena my off-road driving skills and Airborne training, but other than that she is different. For instance, she was an interrogator in the military whereas I was an Arabic linguist (my job was a little more complicated than that, but I’d rather not get into it). I had female friends in the Army who were interrogators so a lot of my basis for Melena came from them. She also served in combat, but I leave the exact location vague since we’ve withdrawn (or will be withdrawing) from most of the recent conflict zones and I didn’t want to date my books to a specific period. For her personality, she’s a little more serious than I am and the fact she has some skills that make her a target for supernaturals makes her a bit more cautious and untrusting. She eats some foods I don’t eat and doesn’t care for animals all that much (whereas I’m a huge animal lover). In fact, she’s even allergic to cats, which does work against her particularly in book two of the series. How many books are planned for your series? Can you tell us a little about the next one? At this time I have five books planned for the main series—the first two of them are already out. There will also be some spin-off novels that will come during and after those. For instance, the next book that will release, Chained by Darkness, is a world book told from the perspective of one of the main male characters. He has something happen to him at the end of book two (no spoilers) that is important enough to the overall series development that the next stage had to be told by him before I could move on to book three. He is a fan favorite, though, so most people are excited to see things from his perspective for a bit. The photo shoot for his cover takes place this month and I hope to reveal the cover by the middle of September. The actual book will release by the end of October. If you chose not to write Urban Fantasy, what genre would you pick for your next book and why? What genre do you like to read? Aside from urban fantasy and paranormal romance, I love to read sci-fi romance. I’ve had some thoughts about starting a series in that genre sometime after my current one is finished. To be honest, I started writing a book back before I even wrote Darkness Haunts (the first book in the Sensor Series). It only has about 30k words on it so far, but I still love the story and hope to finish it one day. It would be in the urban fantasy style of following one main character, but have a romance that develops over the course of the books. I’d also like to write some stand-alone stories in the genre. There is a romance novel that developed very strongly in my head late last year that I think has a compelling premise. I had to create a non-existent city in the mid-western United States to make it work but other than that it is contemporary. It has a lot of action and suspense intermixed with the romance, but I don’t want to get into too much detail on the background because it’s not one I’ve seen before and want to keep it a secret until I finish writing it. There is about 15-20k words down on that one right now. When will it release? I can’t say since the most important thing is to keep my current series going for the moment. When you develop a character, which comes first – the physical features or the personality? In other words, do you visualize a face and say, “That’s her!” or do you imagine the inner angst and driving force of the character before adding the outer layers? It’s definitely the personality. I see the background and the conflict the character will face first. After those things have developed in my head enough, I begin to think about what they would look like. Even though readers have only met Melena, I try to change up the looks a bit with every novel I write so each heroine is a different height with different hair and skin tones, etc. Is there anything you would have done differently as an author before you were published? Where do you see yourself in five years? I wouldn’t say there is anything different I would have done before publishing. The draft for Darkness Haunts was finished a year before I released it so I had plenty of time to work the kinks out. Since I was still a new writer and that was only the second book I’d ever finished (the first was a fantasy romance that will never see the light of day) there was a lot more to learn before it was ready for the world to see. A lot of really awesome people helped me to perfect it plus I read tons of things on writing and continue to follow at least thirty blogs that focus on the subject. 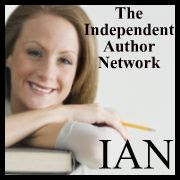 There are some great tips out there from experienced authors that anyone looking at publishing should be paying attention to. As for five years from now, I hope I’m still writing and publishing books. It has been a great experience so far! I’ve given you a magic stone. By simply rubbing the surface, you can transport to any time, any place. Where would go and why? People will probably think I’m weird after they read my answer to this question, but I’m still going to be honest. You know the movie 300? I’d love to go back to 480 B.C. and the battle of Thermopylae where the Spartans (and some Greeks) faced off against the Persian army. Not without the right equipment, though. I’d have a humvee with a .50 caliber machine gun fixed on top of it and as much ammunition as I could fit inside. Then I’d unleash it all on the incoming Persian army because, I mean really, that was a serious waste of so many hot warriors, lol (we are ignoring that this would change history). Afterward, we could go off and party Spartan style. I told my husband this fantasy and he just shook his head. He loves me in spite of myself. I noticed you attended the University of Oklahoma. As a native Oklahoman and loyal Sooner fan (even though I currently reside in the Carolinas), I must end this Q&A session with a rousing, “BOOMER SOONER”! Thanks for joining me today and best of luck with The Sensor Series. Yay! It’s always nice to meet another Sooner fan. I was stationed at Ft. Bragg twice and did my initial Army training at Ft. Jackson so I know all about being an Oklahoman living in the Carolinas. It was great doing this interview with you. Thank you so much for having me! Instead of making the traditional post high school move and attending college, Susan joined the U.S. Army. She spent her eighteenth birthday in the gas chamber…an experience she is sure is best left for criminals. For eleven years she served first as a human resources specialist and later as an Arabic linguist (mostly in Airborne units). Though all her duty assignments were stateside, she did make two deployments to Iraq where her language skills were put to regular use. Thanks for such a fun interview! Next Next post: Who Doesn’t Like FREE??? Stonewiser . . . Download the Trilogy NOW!